Do you ever heard of Michael R. Lindeburg, PE ? 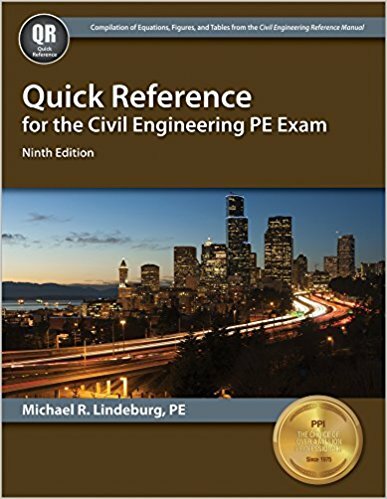 If you are a civil engineer who are at present serving any professional engineering firm and love to read books and news than you must know about Michael R. Lindeburg, PE. Just keep an eye on the name mentioned above. 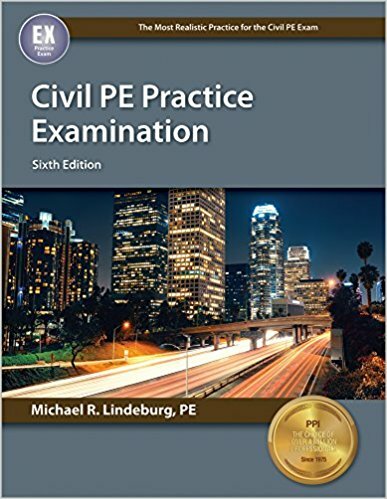 His original name is Michael R. Lindeburg and PE(Professional Engineer) is his degree that he has attained through attending Civil Engineering PE Exam. I know you are here because you care about your name and of course valuable PE degree. Let’s have a quick look, in depth of attaining Civil Engineering PE degree. What is a PE Degree? PE means Professional Engineering. It is a worldwide reputed degree to boost your professional engineering career. This degree holders use a attribution to their name i.e. [Your Name], PE where PE means Professional Engineer. This degree is worldwide accepted and has great value. Many engineering firms recruit engineers who have PE degree and provides with 20-40% more salary than the average staff engineers with the same professional experience. How Much Can you Earn if You have a Civil Engineering PE Degree? If you live in USA(United States of America) than PE degree is a must to sign engineering drawings and calculations. It varies on state to state of USA but without this degree you can not signature the mandatory civil engineering drawings. By achieving PE degree, your gross salary may increase about 30-50% but this actually depends on the type of job and company/firm’s rules and regulations. 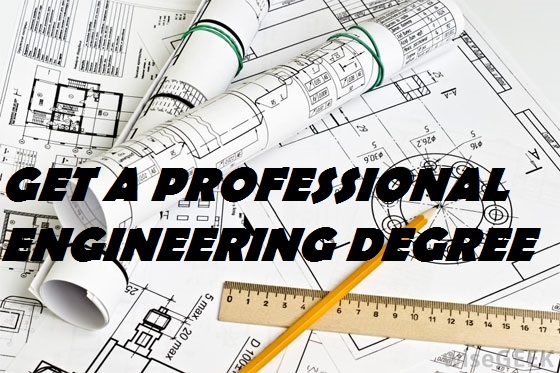 An increase in salary is normal after you achieve this degree because in most cases, an PE degree holder get a promotion from staff engineer to project engineer.Moreover in many states of America, the engineering firms require to submit PE degree holders CV to renew their license. As a result, engineering firms in USA are more likely to recruit a civil engineer having a PE degree. None but an PE degree holder can sign the engineering drawings and calculations in many states of United States of America. 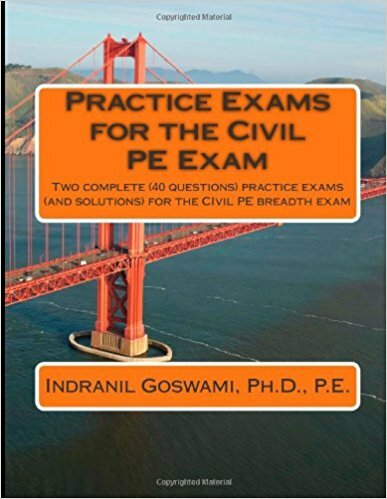 Exam Procedure of Civil Engineering PE Exam? PE Exam is taken by NCEES. NCEES takes PE exam twice in every year. Generally, the exam held at the month of April and October each year.Moreover, NCEES offers this degree in various field of engineering including Civil Engineering. The exam is a eight hours exam held only in a single day and is divided in Morning and Evening Session. The morning session exam are related basic engineering questions. The examinee has to answer 40 multiple choice questions in 04 hours of morning session. The evening session is related to in depth knowledge of engineering named as breadth exam.In this session the exam taker has to choose a more in depth discipline of engineering and answer the questions provided. All of us know that, Civil Engineering has five major branches i.e, Geotechnical Engineering, Transportation Engineering, Water Resources Engineering, Structural Engineering and Environmental Engineering. You will be happy to hear that, PE degree is available for the five major branches as well as also available for construction engineering. 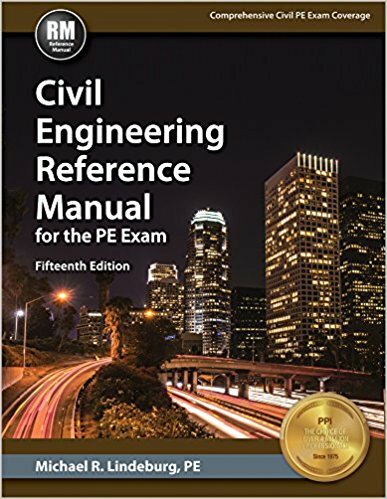 Choose the exam you want to attend for PE degree and keep studying related codes and materials. As you have Bachelor of Masters degree already, so it would not take much labor to get a Civil PE Degree. But all you need to know, where you will find them easily and how to prepare yourself.